As a mother ages and sees her children go off into the world, she begins reflecting on her time as a mom and yearns to share memories with her kids. Beautifully designed and illustrated, this perfect gift contains creative prompts that spark Mom’s recollections of fun family vacations, favorite childhood games, and special holidays. The thought-provoking queries allow Mom to delve into her own lifetime of experiences — her childhood and school years, falling in love and getting married, and, most of all, having and raising children. This collection of fill-in-the-blank lists is the easiest way for a mother to record on paper answers to the questions her children never thought to ask but will love to discover. Dionna Ford is a lawyer turned work-at-home mama of her amazing son, Kieran (with #2 on the way in November 2011). You can normally find Dionna over at Code Name: Mama where she shares information, resources, and her thoughts on natural parenting and more. Dionna also co-founded two other websites for parents, the Natural Parents Network and NursingFreedom.org. 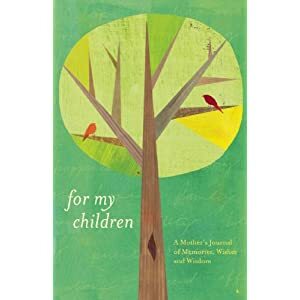 This was a wonderful journal that would allow any mother to document for their children many important aspects of her own life as well as some of the important key aspects of their lives too. What I love is that the book was beautifully constructed with custom made pages set in full color with lively images. I also enjoyed the fact that there was plenty of room on each page for the mother to share her thoughts and stories fir her children. This is a wonderful gift for any mother that I would highly recommend! Disney/Pixar BRAVE Trailer "Families Legend"
Giving away six million books and counting! Book Review - Get Your Summer Strategy On! The ‘Prang Power’ program Provides So Much! Earth Products for FREE or nearly FREE! Free Pearl Rings for New Members! TODAY Only! Books for Kids Who Love Baseball! Book Review - No Problem! SENSAI Products are Perfect Gift For Mothers Day! Blue Magic: Go Jerry Go!